Choose any consumer financial magazine and scan the table of contents. The majority of content often focuses on the same repetitive topics – the best stocks or mutual funds to buy, tips on saving money on purchases, refinancing and so on. Financial television often focuses on the same themes. Few media outlets contain much information on perhaps the most important aspect to financial planning: how to manage your cash flow. Investing is certainly an important financial pursuit. However, an investor first needs to create the funds to invest before determining the best investment to actually buy. Dental specialists sometimes struggle to manage cash flow properly in order to create surplus funds for investing beyond what they might contribute to retirement plans. We developed the “Three-Account Cash Flow System” as a method to help keep spending in line and increase savings. 1. Primary Spending Account – this is the account you use to pay everyday bills. 2. Layaway Account – this account is established as a reserve to pay expenses that occur annually for special purposes. Layaway expenses are explained below. 3. Emergency Fund – retain 3 to 6 months of spending in this third account for large, unanticipated expenses. Determine Your Income – Surprisingly, some people really don’t understand their total amount of taxable income each year. This is especially true if money is taken out of a practice inconstantly or without a focused plan. It’s important to know not only how much salary or draw you receive monthly, but also what annual distributions you take. Write a Budget – In our financial planning practice, we find that clients frequently underestimate how much they spend. If you don’t manage your spending it is unlikely that you will have control over savings. Complete a detailed budget worksheet. Review bank accounts and credit card statements to make sure all expenses are included. Calculate Your Annual Surplus – Subtract your budgeted expenses from your income. The end result is your annual surplus which is available for savings, debt reduction and other wealth building strategies. If the amount of surplus calculated seems higher than what you actually have, then your spending is probably higher than you realize and you need to reevaluate your budget numbers. Pinpoint “Layaway Expenses” in Your Budget – Certain large spending items only occur periodically throughout the year. Vacations, holiday and birthday gifts, insurance premiums and taxes are examples. Also, there are special (generally) one-time purchases, such as home furnishings, which may not be factored into an everyday budget. We call these “Layaway Expenses.” Unfortunately, it’s common to pay for these goods via credit card, and then pay the card balance over a period of time with money that should have been earmarked for savings or debt acceleration. Ideally, you should save for these purchases throughout the year so that money is available when the expense occurs. Once you identify Layaway Expenses, determine how much they cost on a monthly basis, and save that amount to your Layaway Account each month so this money is available when the expenses occurs. Direct Surplus to Savings – Once you determine how much needs to be maintained in your primary account for monthly spending, and the amount to transfer to the layaway account, any excess surplus should be sent to a savings or investment account. We suggest setting up an auto draft to make sure this gets done. Once your Three-Account strategy is established, we suggest employing some other strategies to help keep your spending in line with you budget. First, only keep enough money in your primary spending account to cover monthly expenses. Excess money retained in this account can be spent too easily. Second, if you are a practice owner or private contractor, coordinate a salary/draw and bonus arrangement that ensures enough money is brought into your household to cover expenses. Money not needed for expenses should immediately be directed towards your planned investments. Third, try not to use a business credit card for personal expenses. Sometimes we see dental specialists charging personal expenses to the business card. Ultimately, this spending, if not a tax deductible business expense, passes through as income to the tax return. However, it may not have been counted as a personal expense, and thus true spending may be underestimated. 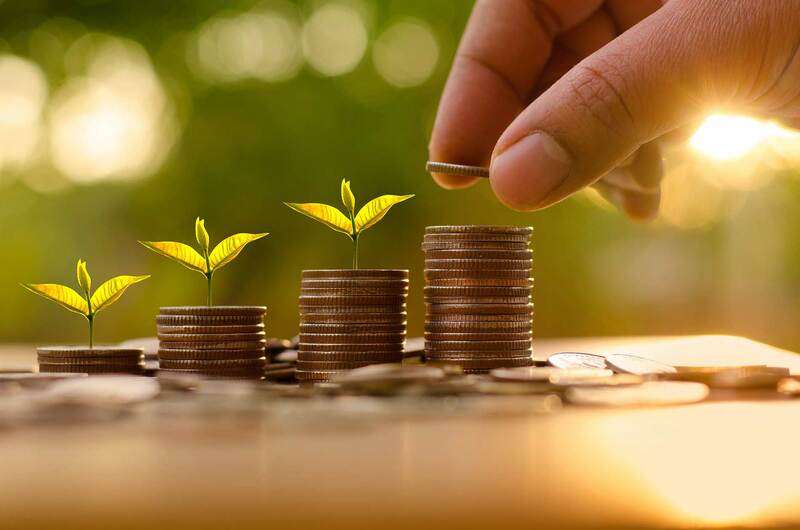 Despite all the attention paid to the issue of investing, a firm cash flow foundation can have an equally important role in your overall financial success. For more information on cash flow management, financial planning, and other financial services needs, contact Treloar and Heisel, Inc. at 800-345-6040 or visit www.treloaronline.com. 2015 Treloar and Heisel, Inc. All Rights Reserved.